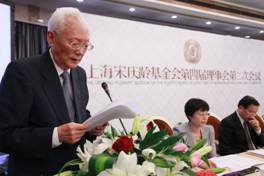 The Shanghai Soong Ching Ling Foundation held the seventh session of its fifth board of directors on the afternoon of March 6, 2017. Eleven directors were present at the meeting and two directors entrusted others to attend the meeting. The meeting was presided over by Vice Chairman Mao Jingquan. 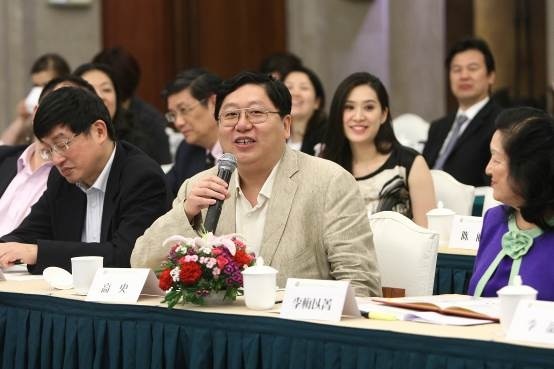 Through vote by a show of hands, with twelve votes in favor and one vote against, Mr. Jia Yong was supplemented as director of SSCLF’s fifth board of directors, and authorized to act temporarily as SSCLF’s secretary general. 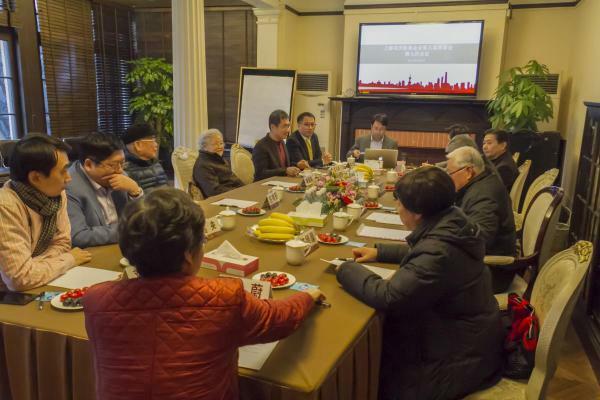 The Shanghai Soong Ching Ling Foundation held the fourth session of its fifth board of directors meeting on October 22，2015. The meeting was presided over by Vice Chairman Mao Jingquan. The meeting first discussed and approved the adjustment program of SSCLF’s overseas directors and honorary directors. The board of directors highly affirmed the work of Foundation’s asset operation supervision committee in the past three years and agreed that in the next few years the Foundation’s fund management would focus on risk-control, with the fund’s security as first priority and value-added function as secondary. That is, to invest fund surplus in accordance with the principle of diversified investment layout and Fund’s value-added plan put forward by the assets operation supervision committee. 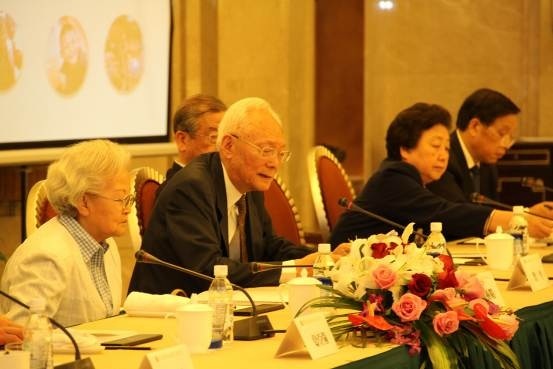 The meeting discussed and approved the preliminary plan to celebrate the thirtieth anniversary of the establishment of the Shanghai Soong Ching Ling Foundation. It also reviewed and approved SSCLF’s project schemes for the second half of 2015. 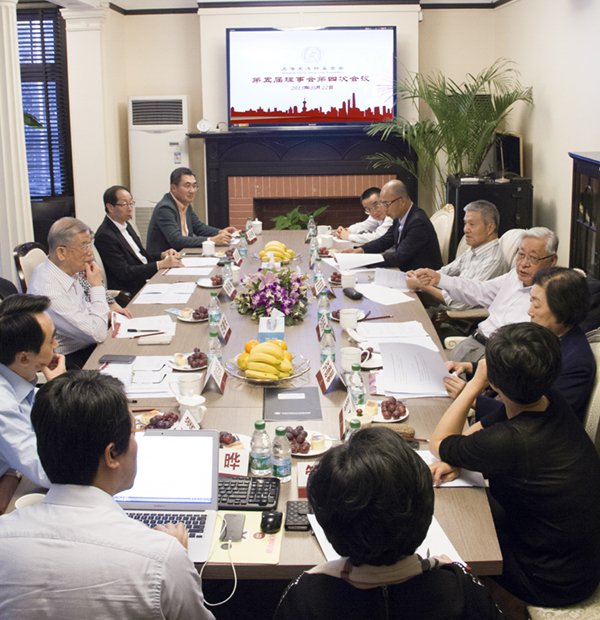 The Shanghai Soong Ching Ling Foundation held the third session of its fifth board of directors meeting on May 25，2015. The meeting was presided over by Vice Chairman Mao Jingquan. The meeting discussed and approved the establishment of SSCLF’s Director Nomination Committee, and the first committee’s chairman and members, approved SSCLF’s 2014 annual work report and 2015 annual work plan. The meeting also reviewed and approved SSCLF’s project schemes for the first half of 2015. 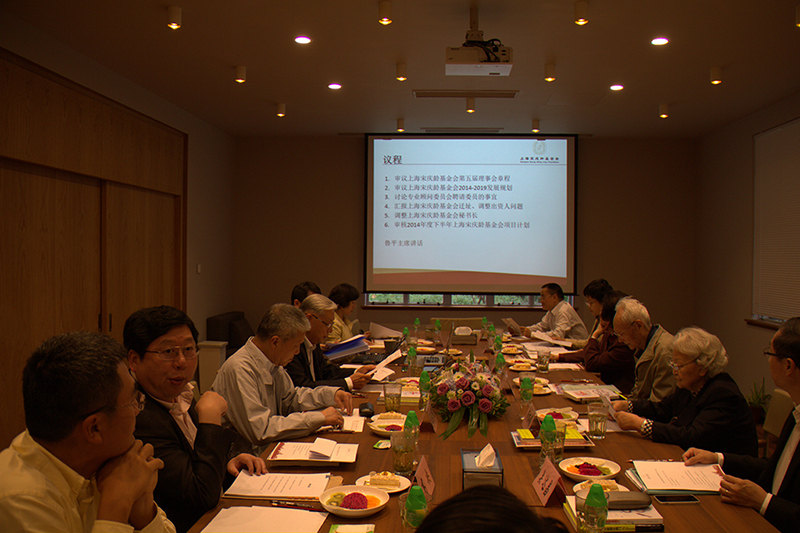 The Shanghai Soong Ching Ling Foundation held the second session of its fifth board of directors meeting on October 30，2014. Present at the meeting were Chairman Lu Ping, Vice Chairmen and other Board members. The meeting was presided over by Vice Chairman Mao Jingquan. The meeting discussed and approved the amendment of the articles of SSCLF constitution, approved the main contents of the SSCLF’s 2014 – 2019 development plan. The meeting also appointed Ms. Guan Jianhua as SSCLF’s Secretary General to succeed Ms. Zou Wei, who continues to serve as Foundation’s Executive Vice Chairman. SSCLF held its seventh meeting of the fourth session of its Board of Directors on April 27, 2014. The meeting reviewed and adopted the Board’s work and financial reports in the past five years and passed the amendments to the Foundation’s constitution. It also elected SSCLF’s Fifth Board of Directors. Chairman Lu Ping presented certificates of appreciation to the outgoing directors of SSCLF’s fourth session for their unremitting efforts and positive contributions to the welfare work of the foundation. Soon afterwards, SSCLF held its Fifth Board of Directors meeting to elect the Board’s Chairman, Vice Chairman, Executive Vice Chairman and Secretary General. The meeting also discussed and approved its main projects and related budgets for 2014. In his closing speech, Chairman Lu Ping re-affirmed SSCLF’s social responsibility, its missions and specific objectives. He pointed out that China’s national per-capita income is still far behind the developed world and its disparity between the rich and the poor remains high. It is SSCLF’s mission to help reduce this disparity – to help less developed regions set up better schools and hospitals and to give aid to impoverished mothers and infants. He also re-emphasized the importance of continued information transparency. 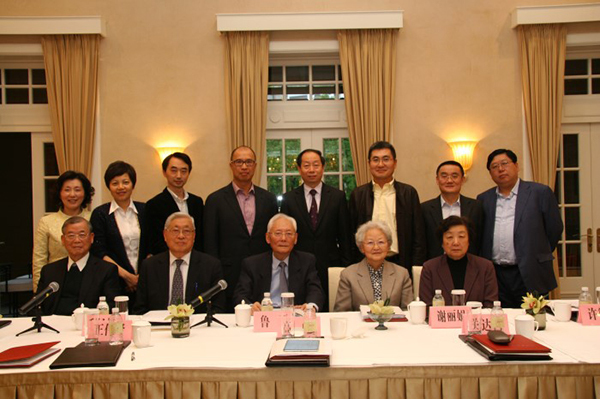 Chairman Lu Ping with the SSCLF’s Fifth Board of Directors. 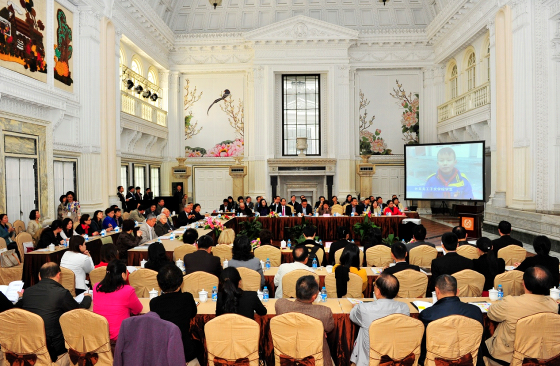 SSCLF held its 2013 Annual Board of Directors meeting on April 25, 2013 in the Marble Hall of the China Welfare Institute Children’s Palace. More than 90 board members and guests attended the meeting. Vice Chairman / Secretary General Zou Wei presented the Foundation’s 2012 annual work report and 2013 work plan. Her report was followed by a lively discussion by board members and guests who gave positive comments on SSCLF’s operations and constructive suggestions for its future work. 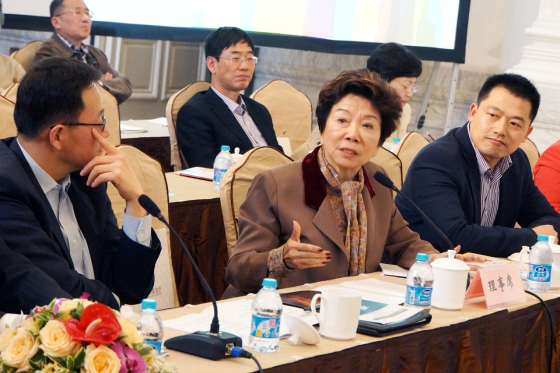 Jia Yong，Deputy Director of the Shanghai Municipal Community Administrative Bureau, in his appraisal of the work of foundations in Shanghai, commented that it is clear that the leaders of SSCLF leaders have played an important role in following standardized operational procedures, down to many details, thus ensuring the success of its overall work. It is clear that SSCLF plays an exemplary role in the standardization of operational procedures among the foundations in Shanghai. Director Anna Pao as well as Director Yen Chun, who had known Soong Ching Ling personally, praised the work of SSCLF and expressed the hope that the foundation named after her will continue its excellent work for the greater good. .
Director Guan Dachang, Governor of the Bank of East Asia, reported on the work of the Bank’s SSCLF “Firefly” project. He expressed his support for the “A Mountain Stream for Public Welfare” platform launched by SSCLF to seek out worthy NGO projects and help with their initiation and implementation. Qiu Haining reported on the fund-raising work in 2012 for SSCLF’s “Safety for Mothers and Infants” project and then announced that a 2013 charity gala for the same project will be held at the Peninsula Hotel on November 1, 2013. Director Shao Ning, Chief Executive of Pennsylvania Center China, announced that the Philadelphia Symphony Orchestra will perform a charity concert for the “Shanghai Soong Ching Ling Foundation–Pearl S. Buck Fund” on June 1, 2013. In his closing speech, Chairman Lu Ping put forward two hopes for SSCLF: 1, Carry forward SSCLF’s unique foundation culture; 2,Take hold of opportunities, keep pace with the times, and ensure the Foundation’s sustainable development. 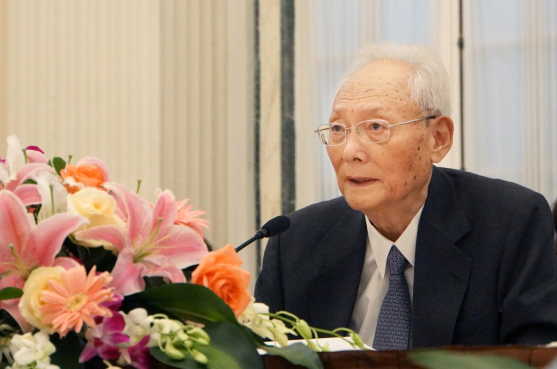 Chairman Lu Ping once again expressed his thanks to the directors and guests for their enthusiasm and support of the Soong Ching Ling philanthropy, and hoped all present will continue to support and participate in the Foundation’s work, and to seek out more “motive power” to promote the development and progress of the Chinese society. Finally, all the directors and guests linked hands and prayed for the survivors of the recent Ya’an earthquake. SSCLF held its fourth Board of Directors meeting on March 25, 2013. 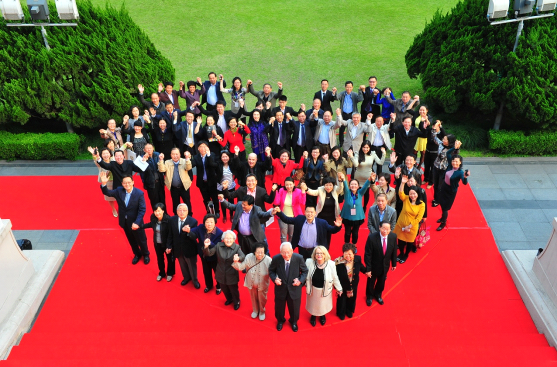 Vice Chairman/Secretary-General Zou Wei made the Foundation’s 2012 annual work report. 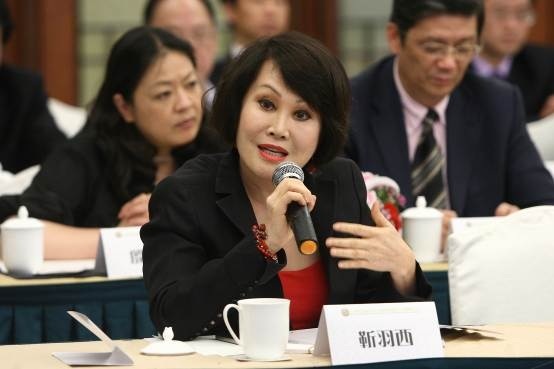 She noted that in 2012‘s national welfare foundations appraisal made by the China Foundations Center, SSCLF ranked at the top in transparency index out of 1,832 public/private foundations. During the year, SSCLF has taken even more positive measures to enhance public trust – a third-party evaluation process and even more transparent supervision over assets. SSCLF has also joined in the sponsorship of the establishment of the Soong Ching Ling Public Welfare Education Center, which will train more professional personnel for public welfare work. Zou reported that SSCLF’s 2012 revenue was RMB 61.5594 million yuan, of which donation revenue accounted for 69%, equity dividends 23%, and value increase of the fund 8%. The total expenditure for 21 public welfare projects was RMB 29.36 million yuan, accounting for 93.27% of the total revenue of 2011. Vice Secretary-General Guan Jianhua outlined SSCLF’s work plan and budget for 2013. The directors reacted to both reports with warm comments and constructive suggestions: wider scope in project appraisal and even more effective supervision over project implementations. The directors also proposed even closer cooperation with the China Welfare Institute with its advantageous resources, and to focus more manpower and capital on training maternal and child healthcare personnel in Shanghai and China’s far west. 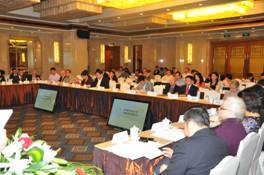 The SSCLF held its 2012 Annual Board of Directors meeting on April 28, 2012 at the Hengshan Picardie Hotel in Shanghai. 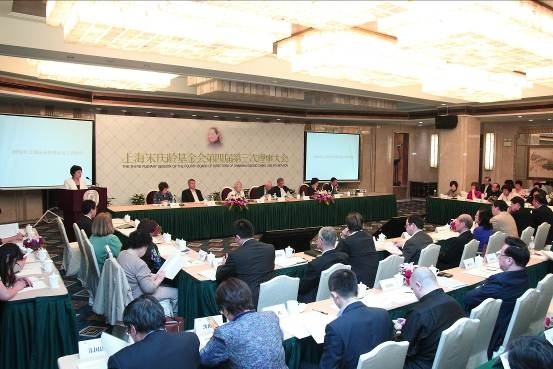 A total of 101 board members and guests from Shanghai, Hong Kong and such countries as U.S., Japan, Australia, Italy and South Africa attended the meeting..
Vice Chairman/General Secretary Zou Wei made the Foundation's 2011 annual work report and 2012 work plan. Vice Chairman Xie Lijuan announced "The Resolution on the Establishment of an Asset Operation and Supervision Committee". Chairman Lu Ping presented letters of appointment to the new committee members. In her annual report, Zou Wei related that 2011 has been a most sensitive and challenging year to China’s philanthropic enterprises. A series of negative news of some charity organizations were made known to the public with damaging effect. In the face of the general tough situation, SSCLF strengthened its standardized management, further improved its accountability, and seized the opportunities to complete a number of pioneering jobs. She announced that the Foundation has received the first ever domestic equity donation. The total donation revenues the Foundation received in 2011 reached RMB 445.0948 million yuan, of which equity donation revenues amounted to RMB 390 million yuan. The total expenditure used for implementing various public welfare projects was RMB 28.71 million yuan. To improve the Foundation's accountability to the public, SSCLF now regularly reports the implementation of its 26 projects on its website. Also, in cooperation with 24 other well-known foundations in China, SSCLF advocates “the Nine Criteria for Public Welfare and Commercial Cooperation " to promote the profession's self-discipline mechanism. The board members at the meeting reacted with positive comments and constructive suggestions for the Foundation’s work in the past year. Director Jennie Mui Lee donated RMB 2,000,000 yuan on the spot to the SSCLF for its education projects. Directors Sun Ou, Yue-Sai Kan and Lin Zhimin of East Asia Bank each gave detailed reports on the status of the projects they were involved in. Ken Ioka from Japan gave a special report on how two Japanese kindergartens, destroyed during the recent earthquake, was rebuilt with the funds donated by SSCLF. Special guest Jin Hui from Italy related the work she has done to enhance exchange activities between SSCLF and the Italian Soong Ching Ling Foundation. . In his closing speech, Chairman Lu Ping set forth higher requirements for SSCLF: 1. To handle each and every one of the donations with care and constantly improve the information disclosure system; 2. To accelerate the professional training for SSCLF’s staff and improve their management skill; and 3. To draw on advanced philanthropic concepts and enhance international cooperation. 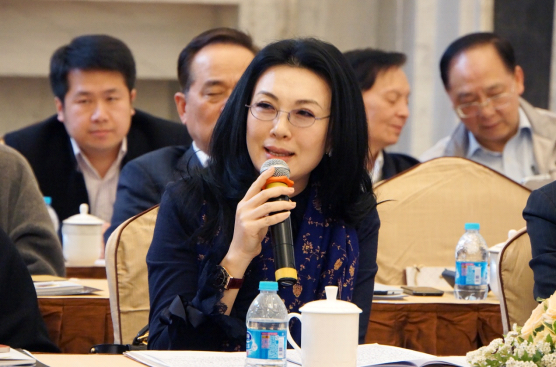 In her annual report, Vice Chairman and Secretary General Ms. Zou Wei told the members that In 2010, the SSCLF had won warm support and cooperation from some world-famous enterprises, groups and individuals by inviting them to work together with us in implementing the projects sponsored by them. In so doing, the corporations and their staff members may see for themselves how the charity programs are carried out. It makes them feel that it is everybody’s social responsibility to extend his or her hands to the most needed, especially those women and children in the poorer regions. In this way, our key projects such as”Safety for Mothers and Infants”, “Firefly Project”. “Mobile Children’s Palace”, Soong Ching Ling Mobile Book Stacks” and “Student Aids” are gaining momentum and becoming more and more popular. As a result, the SSCLF witnessed a remarkable increase in the donation revenues in 2010, with a total amount of RMB 58.11 million yuan, a 98% growth over that of the previous year. The total expenditures were RMB 23.566 million yuan, among which 90.9% were used for various charity projects. According to Ms. Zou, In the past year SSCLF had attached special importance to the supervision over its operation. For that purpose, the Foundation has set up two expert consultative committees: one on maternity and child health care, and another on children’s culture and children’s education. Those committees, adhering to principles of “open, transparent and rational”, are to examine and approve the feasibility of all the project schemes and the candidates nominated for receiving donations. In the year 2011, SSCLF shall continue to build up its credibility and accountability to the donors by strengthening the third party audit, project appraisal and feedback systems. The board members had a heated discussion on the SSCLF work report with positive comments and constructive suggestions. They expressed their determination to make further contributions to the foundation as well as to the development of public welfare.